So the car suddenly started running rough on a cold start and staying ragged until it warmed up. Once warmed up, it ran fine. 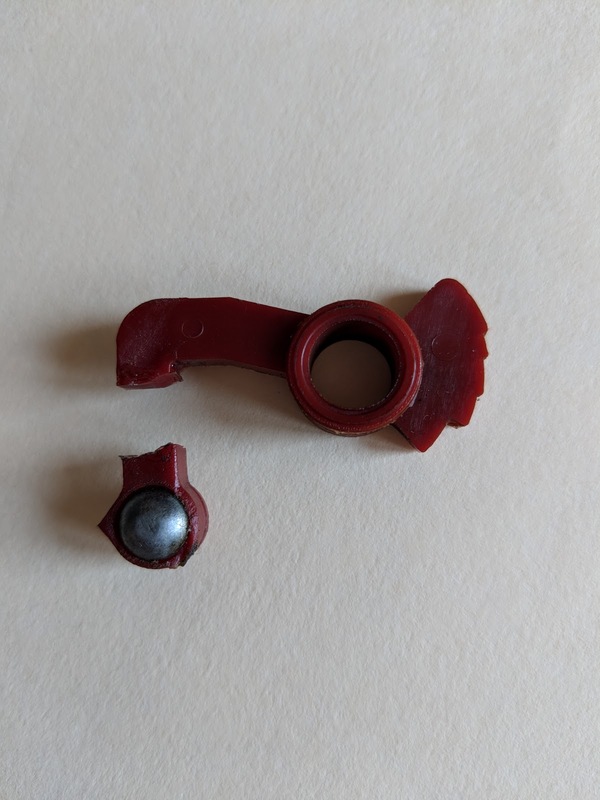 Well, it turns out this little plastic part (why plastic, Chevrolet? why?) runs less than $10. Of course, taking apart the Holley carb assembly to replace it required the touch of an expert, so after a quick trip to C2 Corvette expert, Pat Hendrix, at Precision Motive, everything was back to normal. Cost of repair = $100. After fixing the radio in the Corvette, it was time to tackle the clock. We tried mightily to revive the patient, but in the end, a heart transplant was necessary. The clocks in the "midyear" Corvettes (1963-67) are electro-mechanical units made by Borg Instruments. They were used in a bunch of other GM cars of the period, in addition to the Corvette. This article gives a nice description of the clock and what commonly goes wrong with it. 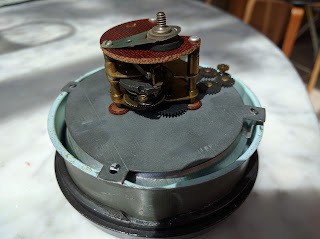 These are analog, spring-wound clocks with an electric winder that is supposed to reset the spring mechanism every 3 minutes or so. To see how it's supposed to work, check out this video (currently at 460 views, many of which are from me!). The design doesn't exactly inspire confidence, as it depends on a set of 12 volt contact points reliably closing every 3 minutes or so, pretty much forever. Those contact points build up corrosion over time, which will kill the rewinding mechanism. The Porsche has been sold and sent off to the East Coast by transport. Time to tally up the total cost of ownership for this, my first "one year, interesting car, fully depreciated" experiment. So, before we get to the raw numbers, some context. As with any Porsche, maintenance is a big expense on these cars. Even routine things cost more than they would for a typical car (e.g., oil change = $250). The Porsche 911 Turbo goes on Bring a Trailer! Welcome, BaT readers! 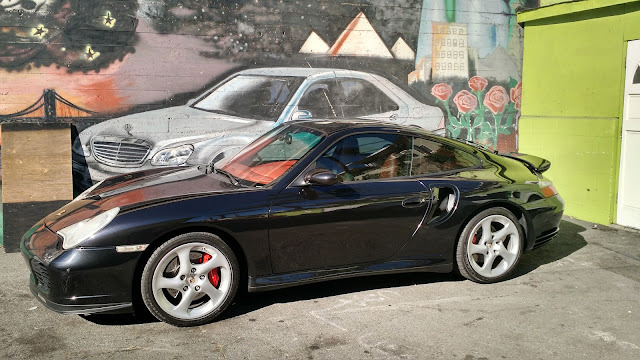 You can see all my articles about the car here, gathered together with the label "996tt". That'll save you from having to read about my car swaps and about the Corvette. Happy reading and (hopefully) bidding. For the rest of you, the time has come to sell my 911 Turbo, bringing to a close my first "one year with an interesting car" adventure, and making room for the second car, a 1965 Corvette convertible. 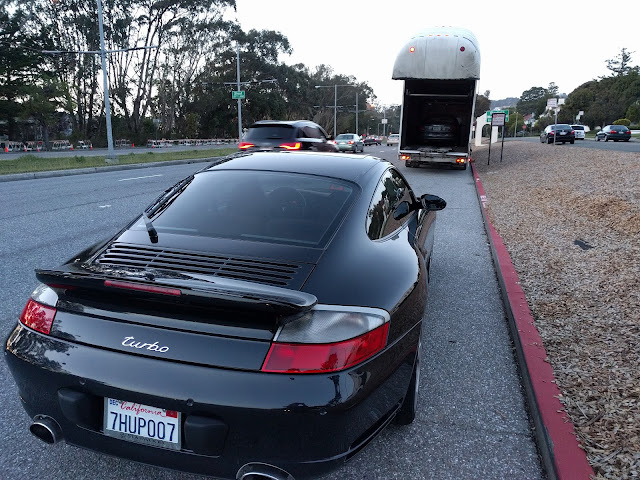 I've decided to list the Porsche on Bring a Trailer (listing here), rather than dealing with Craigslist or eBay or Shift. Very curious to see how it goes!